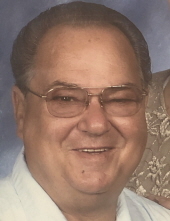 Clifford Davidson was born September 21, 1945 in Jackson County and departed this life Friday, March 29, 2019 at the St. Elizabeth’s Health Care in Edgewood, being 73 years of age. He was the son of the late Andy & Mae (Cole) Davidson. Clifford is survived by one son, Tony (Stacey Cox) of Brookville, OH; by one brother, Bobby (Pat) Davidson of McKee and by one sister, Jean (Fred) Harrison of Columbus, OH. In addition to his parents, Clifford was also preceded in death by his wife, Heaven Lee (Evans) Davidson. He was a member of the Bethel Baptist Church. "Email Address" would like to share the life celebration of Clifford Davidson. Click on the "link" to go to share a favorite memory or leave a condolence message for the family.